Home »Concerts»Thomas Anders & Modern Talking Band – Live in San Jose! Thomas Anders & Modern Talking Band – Live in San Jose! Featuring Bad Boys Blue, Fancy, Lian Ross – Friday, August 17 2018 – in San Jose! 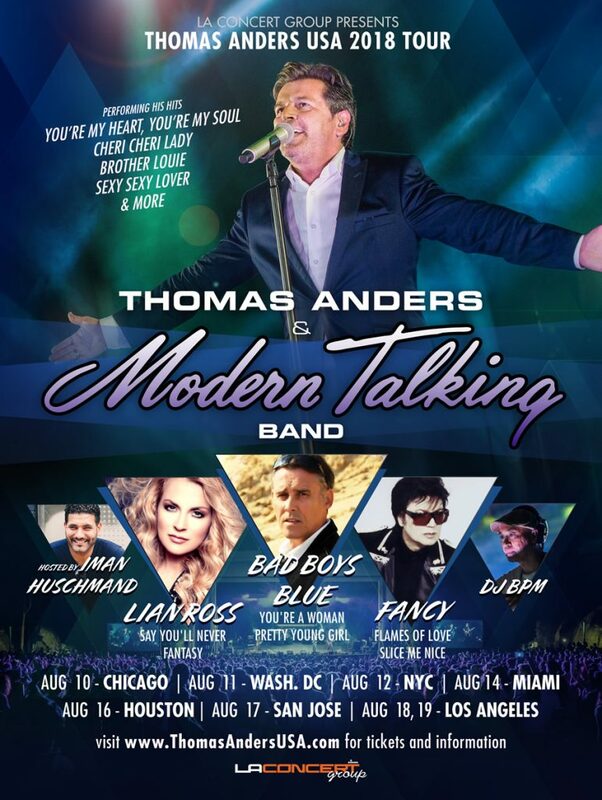 ← Previous Previous post: Thomas Anders & Modern Talking Band – Live in Houston! Next → Next post: Thomas Anders & Modern Talking Band – Live in LA!